Welcome to the EBC Newsletter! This materialised as a result of the EBC review conducted in 2016 and finalised in 2017, which made recommendations pertaining to enhancing the visibility of EBC work towards its stakeholders and its general brewing scientific and technical network. We are delighted to share this first edition with you and all forms of response, be they positive, negative, critical, or otherwise, are gratefully received and will help us improve our offerings. Just do it by addressing your comments to info@brewersofeurope.org. We thank you in advance! This document will be split in 3 sections: “EBC at work”, “EBC News and Publications” and “EBC Events” and besides drawing attention to the various events that EBC organises or organises in tandem with The Brewers of Europe and some other partners, the newsletter will feature an update on Analytica-EBC. This world-renowned compendium of brewing and malting laboratory methods will be transferred by the current administrators of the Fachverlag Hans Carl, Nuremberg, to BrewUp, The Brewers of Europe’s very own brewing knowledge portal. As we’re nearing the date of final transfer (at the end of the year), we will keep you updated of progress to that effect. Take this chance to publicly recognise the work well done by Fachverlag Hans Carl on promoting and making Analytica-EBC available to the brewers and researchers around the world for more than 20 years. We thank you, too! Analytica-EBC is much reliant on the Analysis Group of the EBC, working hard at enumerating new methods, or revising established ones. EBC’s other working group is the Brewing Science Group. Here again, subscribing to this newsletter can help you, as a professional in the brewing sector, to keep abreast of technical and scientific hot topics and trends. In challenging times for beer, with many new small brewers arriving to brewing world full of passion but lacking knowledge and tools to support their will to brew good beer, EBC’s vision and mission along the last 70 years of legacy will always point towards the inclusion of every brewer and the improvement of every new brew! 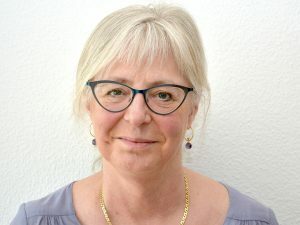 Lene Mølskov Bech was recently appointed as Chair of the EBC Analysis Group and has a long tradition working with EBC as member of EBC Brewing Science Group, several of the Subgroups and of the expert team supporting the Analysis Group. Lene holds a Master of Science and a Ph.D. from University of Copenhagen and is Senior Laboratory and Regulatory Manager at Carlsberg Breweries A/S, responsible for Analytical and Regulatory in Carlsberg Group. For many years Lene’s primary tasks have been Regulatory and Analytical support as well as development of new advanced analytical methods. She has previously worked with many different aspects of beer quality, e.g. foam and foam proteins, flavour characterization, flavour stability and sensory analyses. Lene is also a Carlsberg’s representative in The Brewers of Europe’s Product IMT dealing with regulatory activities such as labelling, additives, enzymes, ingredients and beer safety and member of the expert groups on Consumer Information, Food Improvement Agents, and Technical Information Sheets. The EBC Analysis Group is a group of experts working in the brewing industry, at brewing institutes or at raw material suppliers dedicated to keeping EBC Analytical up to date by updating existing methods and developing new analytical methods for the European Brewing Industry. The chair of each sub-group coordinates the work within a group of experts to develop new analytical methods, draft the method descriptions and arrange for ring test to validate the methods before publishing. Once a year the Analysis group and its experts meet physically to evaluate progress and define new targets. Lene’s ambition is to continue the high-quality work, which the Analysis Group has undertaken for 60 years developing high quality analytical method for the brewing industry. The Analytical Group shall ensure that methods applying modern analytical techniques are implemented in the EBC Analytical in close collaborations with other international organizations like, ASBC, BCOJ and Mebak to serve the need for the all brewers: large, medium, small, established or newcomers. EBC AG Sub-Committees are looking for experts! More information about the EBC Analysis Group? Find out here! For many years now, Trevor has been involved in the research and implementation of new processes and technologies that can improve the production of beer. He started his career in brewing at Molson Coors, conducting research projects to as part of his MSc in Applied Biomolecular Technology, at the University of Nottingham. This was followed by an IBD sponsored PhD in Brewing Yeast and Fermentation. Trevor then joined the (at that time) newly built SABMiller research brewery as a brewing researcher and then as manager of a team of operators and researchers. 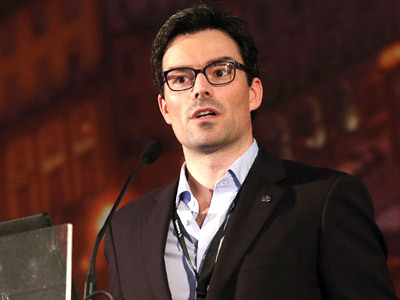 With the merger of AB-Inbev he then joined the Global Product and Material Development group, along with his team they were involved in implementing some of the Global R&D and NPD projects. Trevor’s fascination with research in brewing led him to his current role as Head of Brewing Services at Campden BRI. The EBC Analysis Group met on the 4th and the 5th of April 2018 at the Carlsberg Research and Innovation Centre in Obernai, Alsace, Vrance. The new Chair of the Group, Lene Bech (see here for her presentation) was introduced to the Group. The meeting was attended by Koji Suzuki on behalf of the Brewery Convention of Japan (BCOJ) and joined by phone by Marc Eurich, representing the American Society of Brewing Chemists (ASBC). The EBC AG reviewed its 2018 work plan and completion of activities so far. It approved Method 9.49 on hop aroma components in beer by Headspace-Trap Gas Chromatography, Method 7.15 on xanthuomol in hops and hop products by HPLC as well as the sew standards for the elaboration, homogenization, sampling and packaging of an EBC Reference Malt and the determination of its analytical characteristics. The EBC Analysis Group also discussed the classification of the EBC Analytica Methods to offer an improved service to the EBC Analytica Methods users. Reinvigoration of the work of the six sub-committees and their membership was also on the agenda, leading to a recruitment campaign (see below). The Group also reflected on its upcoming work activities for the rest of 2018. The next physical meeting of the EBC Analysis Group will take place in Brussels on the 26th and 27th of November: experts member of the six sub-committees will be invited to participate. The EBC Executive Team met on the 07th of June 2018 in Brussels during The Brewers of Europe Forum 2018. The meeting was chaired by Tiago Brandao (EBC President). 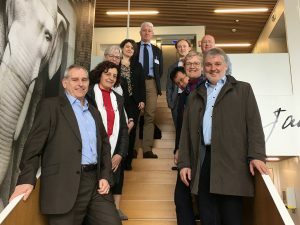 Members of the EBC Executive Team were briefed on the latest activities of the EBC Analysis Group (see here) and of the Brewing Science Group which held its Technical Meeting on the 05th and 06th of June at the Belgian Brewers House. 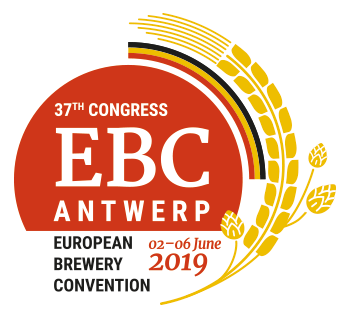 The EBC Executive Team also discussed the upcoming EBC events, including the EBC Symposium on hops (Nurnberg/Spalt, Germany, 09-11 September) and the EBC Congress/The Brewers of Europe Forum 2019 (Antwerpen, Belgium, 02-06 June 2019). Members received a progress report on the update of the Manual of Good Practice on Filtration. The EBC Executive Team also approved the new EBC Analytica Method classification as proposed by the EBC Analysis Group. New Method 7.15 on xanthohumol in hops and hop products by HPLC which specifies a high performance liquid chromatographic analysis method for the determination of xanthohumol for all hops, hop powder products as well as for all conventional or xanthohumol-rich hop extracts. The EBC wishes to thank Martin Biendl, Chair of the Sub-Committee Hops and all the sub-committee experts who were involved in the development and finalization of Methods 7.15 and 9.49. The EBC also wishes to thank Gudrun Vogeser, Chair of the Sub-Committee Microbiology, Marta Orive Camprubi and the other sub-committee experts as well as the ASBC for the upgrade of Method 2.3.9.5 as an International Method. The EBC Analytica Methods will be available on www.brewup.eu from the 01st of January 2019 onwards! After six years of fruitful collaboration with Hans-Carl Fachverlag, the Brewers of Europe and EBC have decided to manage the commercialization of the EBC Analytica Methods on their own, allowing for the purchase of individual methods. More information on the subscription fees, tariffs of individual methods and procedure to create an account on BrewUp will be communicated during Q4 2018. Stay tuned! EBC Malt Standards available on EBC website and on BrewUp! The latest version of the procedures to determine the manipulations employed for the selection of a batch of the BEC Reference Malt, its homogenization, sieving, sampling and packaging (in order to obtain representative samples of malt for analytical purposes) has been published on BrewUp and on the EBC website. These procedures were developed by the IFBM, the EBC exclusive supplier for the EBC Standard Malt, responsible for the barley selection, malting, blending and homogenization of batches as well as the packaging and shipping to customers. As the ‘cradle of modern brewing’, Europe is home to an estimated 10+ beer styles, 50.000+ beer brands and 8500 breweries. But where is it all going next? As a multitude of flavors and innovations continue to evolve, The Brewers of Europe hosted a two-day event to look ahead to the future of the category. The rise in microbrewing, innovations in low and no alcohol beers, targeting millennials with food pairing to the newest brewing quality techniques are just some of the trends and topics the Brewers’ Forum has put the spotlight on. As part of this Forum the EBC has designed a tailored symposium on filtration. The inaugural Brewers of Europe Forum “Beer and Beyond’ has brought brewers of all shapes and sizes – as well as other stakeholders I the sector – together in Brussels on June 7-8. The Forum hosted 800 participants and more than 90 speakers took the floor in 40 different panels. Speakers and participants include brewing professionals from more than 40 countries worldwide. The program was built under 6 main themes, in addition to which there were numerous tracks. This addition was made to help the audience find relevant topics, from fields close to their interests. The main theme of the event was ‘Beer and Beyond’ where speakers as Steve Hindy, Michel Orderman, Carlos Brito, Cees ‘t Hart, Frank Boon and Michel Moortgat raised awareness on the future of beer , the key challenges of growth, diversification in portfolio’s, remaining authentic and how they have overcome challenges as part of their entrepreneurial brewing life. Europe is the cradle of modern beer and with this first edition of the Forum we had the physical manifestation to which indeed Europe’s brewers continue inspiring the world of brewing and beer drinkers within and beyond Europe. The Brewers of Europe Forum 2019, featuring EBC Congress 2019 – SAVE-THE-DATE! Got your eye on Antwerp for June next year? Well we have good news! The Brewers Forum is back in June 2019, Week 23. The Forum will gather for the second time brewing professionals from across Europe and the world for two days. Together we will discuss the future of beer by bringing you the latest trends from grain to glass straight from the brewing sector leaders. Mark the dates down and check out the event pages for more information. The Forum will be organised jointly with the 37th EBC Congress that will start 02nd of June and will end on the 06th of June. More information on the EBC Congress can be found here below!